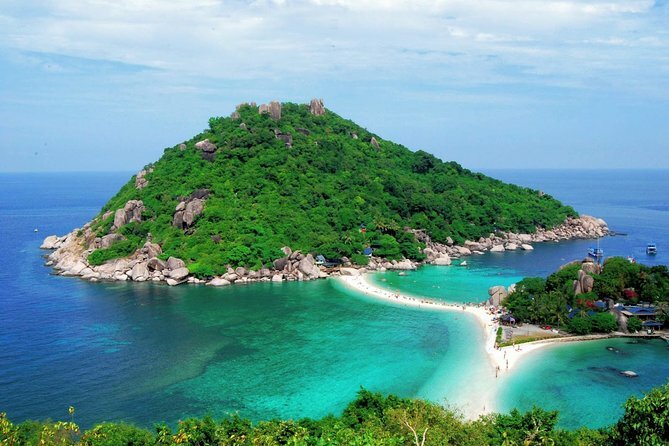 Take a day trip to the teeny island of Koh Nangyuan which is one of the top recommendations for those staying on Koh Samui. Cruise by speedboat to Koh Tao and immerse yourself in natural beauty as you hop from 1 island to the next, participating in fun-filled activities like snorkeling, sunbathing, hiking, and sightseeing. The Nangyuan island is actually made up of three little teardrops of land connected by a massive sandbar. It’s a place where post-card dreams are made: unique topography, blindingly white sand beaches, and shores teeming with fish and coral. 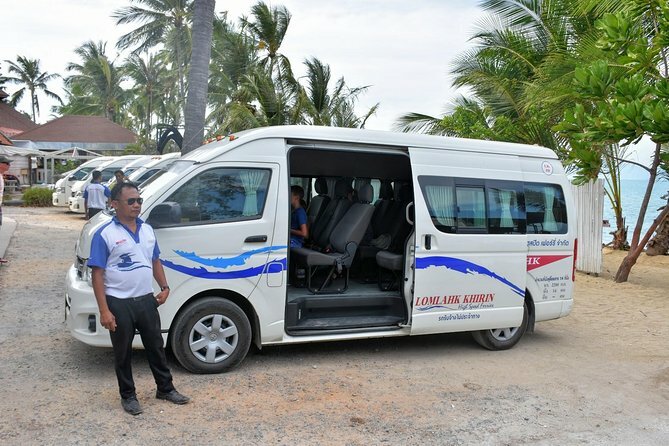 Start your day with a transfer by minivan in air-conditioned comfort to Bang Rak Pier in the north of Koh Samui and enjoy a light breakfast. Meet the boat staff of Lomlahk Khirin and get safety instructions and information about the trip from your guide. Take off your watch and escape from Koh Samui to Koh Tao aboard the convenient speed boat with a short stopover on Koh Phangan to pickup other customers. Marvel at the sandbar beaches of Koh Tao formed by the ocean's currents, and discover the beautiful coral reefs at one of the following snorkel spots: Lighthouse Bay, Mango Bay, Tanote Bay or Ao Hin Wong. Continue to Koh Nangyuan and enjoy an authentic buffet style Thai lunch which is served at the beachfront restaurant. Put on your sunblock before it's time to explore Koh Nangyuan itself which features a dive center and souvenir shop, as well as a breathtaking walk to the hilltop viewpoint in less than 15 minutes. Be sure to bring your cameras for this stunning scenery! Enjoy a fun-filled day, with a choice of sunbathing, short nature trekking or snorkeling in shallow waters at Japanese Garden Reef with many friendly fish species. Soak up the tranquility of a unique destination, far from the stress of modern life, and unwind from your day-to-day worries. Meet at Lomlahk Khirin Pier in Bang Rak on Koh Samui 30 minutes before scheduled departure. This tour is provided by Trip Store Krabi. The snorkeling was probably one of the best I've ever seen in my life (and I've been snorkeling a lot..); however, it was a very long day and the ride to get to and from Koh Tao was 1.5 hours (that's 3 hours of traveling total). This wouldn't have been too bad because I like boats, but the boat we were on was very small and we were seated like a school bus (2 by 2). There was no room to move, dry off or apply sunscreen. It felt very cramped. In addition, the amount of time we spent on the "private island" was way too long. The sun is extremely strong and hot - we were on the beach for two hours and it felt like an hour too long. I would suggest a half day tour instead. (Also, the "private island" was PACKED).